Despite being imprisoned, Abu Qatada appears to still propagate global jihad. In late March, a lengthy presentation emerged on extremist websites purporting to have come from Abu Qatada in his current home at Long Lartin prison (Al-Quds al-Arabi, March 23). The article was not the first piece to emerge from the incarcerated cleric (previous articles have emerged commenting on Palestine and an interview with a fellow prisoner praising al-Qaeda), and questions have been raised about how effective his imprisonment has been in shutting him off from proselytizing to the outside world (Daily Telegraph, April 5). The Palestinian cleric was, until earlier this year, under highly restrictive house arrest, but following the emergence of unrevealed evidence which may have suggested he was about to flee the country, British police re-arrested him. Though the origin of the letter and previous statements cannot be confirmed, the Palestinian cleric has not denied them and the texts appear to be consistent with his previous writings. This is also not the first time that letters from jailed extremists in the UK have reached the public domain – most prominently, both Dhiren Barot (a.k.a. Essa el-Britani who features in the 9/11 Commission report as an al-Qaeda planner) and Omar Khyam (head of the 2004 UK “fertilizer plot”) have had their voices heard beyond prison walls (www.al-istiqamah.com). Unlike these other men, Qatada is being held in part as a consequence of his pro-jihad sermons, rather than his active participation in jihad. The imprisoned cleric describes dark deals between the British government and those of Jordan and Libya, “through which the rendition of Muslims to their (original) countries takes place.” He also highlights the British government’s belief that “there is justice in Jordan” and that torture in that country is something that the British judicial system feels it is able “to work around.” The British government has in fact for the most part been unable to actually utilize the deportation agreements that it has signed with Jordan and Libya because of these issues, leading to the very legal limbo in which individuals like Abu Qatada find themselves. Qatada refers in passing to a number of other extremists he has come across while inside, including Barbar Ahmed (whom the U.S. government is trying to extradite on charges of running extremist websites), radical preacher Abu Hamza al-Masri, Haroon Rashid Aswat (Abu Hamza’s deputy, wanted by the United States on charges of trying to establish a terrorist training camp in Bly, Oregon) and numerous others. Most interesting, however, are the cleric’s alleged interactions with Dr. Mohammed Asha and Dr. Bilal Abdullah, the two men tried for the 2007 attempted car bombings in London and Glasgow. Dr Asha was acquitted, but is facing possible deportation for visa issues, while Dr Abdullah was found guilty and given a 32-year sentence (Times, December 17, 2008). Abu Qatada reports that he was very impressed by Dr Abdullah, saying, “a man from the men of Islam, in knowledge, action, steadfastness and manhood,” before whom he “felt insignificant,” especially when he heard Abdullah say he had been influenced by Qatada’s tapes. The underlying point of much of Qatada’s statement is to highlight the inequalities of the British legal system and the targeting of Muslim prisoners in particular. “I admit that despite the fact that I am Palestinian, and was born in Palestine and despite my knowledge of the history of the British Government in its crimes in general, and in its crime in Palestine in particular, I was ignorant of this hatred and malice harbored by these British Governments against Islam, the Muslims, and the Arabs… I wish that all the Muslims in Britain would be imprisoned for a period that is not less than one year so that they would see with their own eyes the truth of what I am saying” (Al-Quds al-Arabi, March 23). Finally, the letter also highlights a number of serious problems within the British legal system – such as the inability of the British government to either convict or deport Abu Qatada (Jordan Times, February 22). 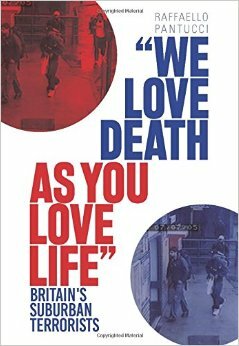 This legal limbo provides ideological sustenance to those who claim British anti-terrorism policy is anti-Muslim. Unable so far to send Abu Qatada to Jordan, where he faces life imprisonment, the fate of a British citizen is now apparently tied to that of Abu Qatada and Britain’s demands for the hostage’s unconditional release.